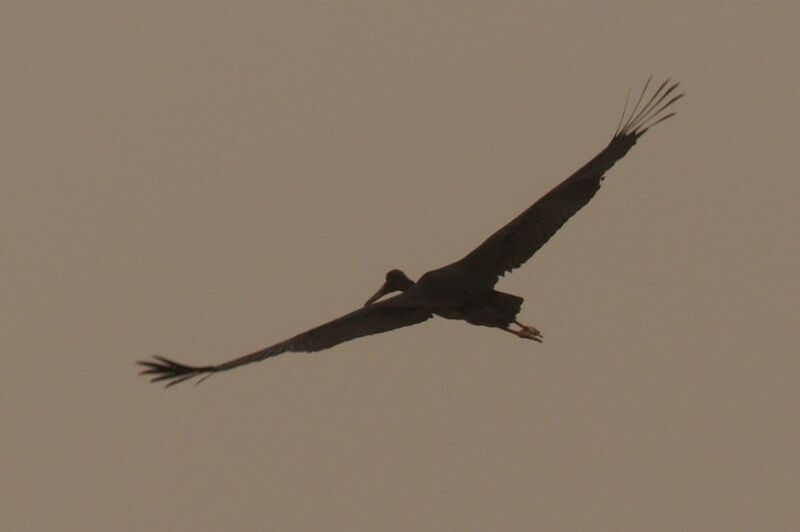 I found an immature Black Stork on the edge of the percolation pond duirng a dust storm on May 4th 2011. The bird was distrubed by dog walkers and flew off towards the coast after about ten minutes but I did manage to get a couple of poor shots due to all the dust in the air. 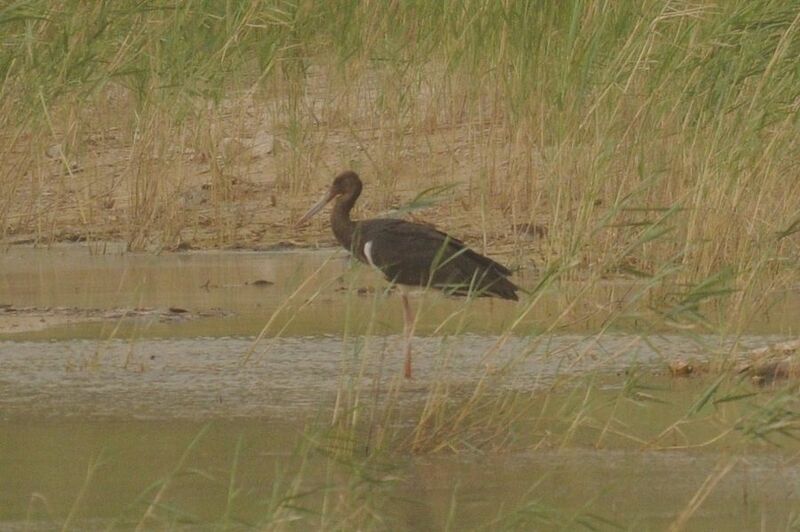 Black Stork is a rare bird in Saudia Arabia with The Birds of the Eastern Province of Saudi Arabia by Bundy, Connor & Harrison (published in August 1989) only having five records of six birds. There is at least one more record for the Eastern Province which occurred in the same place as this record, a couple of years ago (spring 2009?). This is an example of how dust storms can bring down migrants in the most unlikely places. Well done on such a rare bird in 'our' area!